By: Stanley P. Baldwin M.A. The CliffsNotes study guide on Beowulf supplements the original literary work, giving you background information about the author, an introduction to the work, and critical commentaries, all for you to use as an educational tool that will allow you to better understand the work. 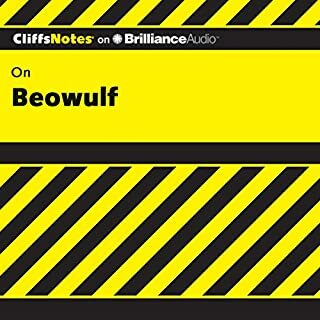 Would you listen to Beowulf: CliffsNotes again? Why? I got an A on my report. What was one of the most memorable moments of Beowulf: CliffsNotes? The summaries and terms provided helped me understand the story much better than just reading the text. What about Ellen Grafton’s performance did you like? It was a perfectly organized summary. 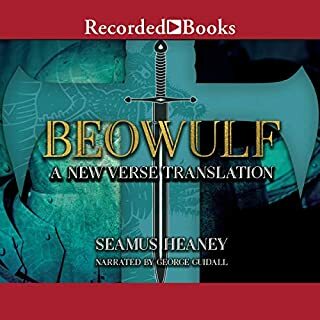 Would you listen to Beowulf again? Why? I have no need to listen to this again because the audible book translation was completely accurate in comparison to my college textbook and the assignment is complete. Line for line I followed along and understood the story with clarity.